This piece goes out to all the beautiful young brides who are excitedly planning their honeymoon travel plans as well as to all the couples scheduling their romantic spa and resort getaways. Whether it’s your first or your fifth you will need to get organized. Most of us have the tendency to over pack by throwing in everything we’ve purchased over the last five years and then being utterly confused when the time comes to get dressed on the clock while your husband is anxiously waiting at the reception! It is difficult but packing for every scenario under the sun is not feasible. Instead choose according to the most likely broad categories such as relaxing by the pool and walks on the beach, which will easily account for the chunk of your time, casual and formal dinners and bar hopping, a few adventurous expeditions, and walking around the city streets. You will never use more than three or a maximum of four pairs of shoes, remember to account for the shopping you will do on the trip as well. Include a comfortable pair of travel slippers or ballet flats; we like Zahra Habib’s light as a feather selection. Rather than going for colors, take a couple of peep-toe pumps in some neutral shades for formal wear; Insignia carries a chic range that will work great. 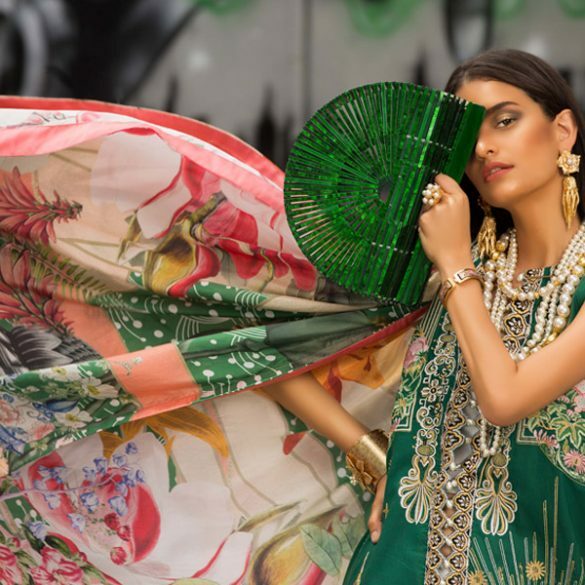 For the ultimate experience in resort beach wear invest in Maheen Karim’s luxurious silk drapes and tunics, and Mughal silk printed maxi dresses by Ava Mirabelle. These will surely make you feel like a million bucks and remember you will be looking back at those honeymoon snaps for years to come so looking good is not optional! We also adore Ava’s silk short playsuit, pair it with one of their luscious scarves for happy hour at the beach. Hopefully you will fit in some fine Michelin star dining experiences and avoid living on Burger King and Starbucks! Add some glitz with a shimmering sequined blazer from Sublime by Sara Shahid’s winter collection or one Shehla Chatoor’s stunning silk jumpsuits. For a rooftop party or a formal lounge go all out with a slinky cocktail dress by AFH, Shehla Chatoor, or Maheen Karim. Their creations were made for for you to steal the show on just such an occasion! Lock up all that heavy jewelry in the safe and take out a few select pieces to take with you. We prefer Kiran Aman’s modern distinctive pieces that will compliment your urban style on the trip. For the day time one of her signature charm bracelets is all you’ll need. Whatever you wear will be incomplete without a scarf or a wrap. We highly recommend Nida Azwer’s latest selection of bamboo and butterfly screen printed shawls. These will definitely attract plenty of tourist attraction and are great for the evening chilly breeze. While in the street markets or the malls you will walk plenty and dressing comfortable is key. Make sure you grab plenty of Feeha Jamshed’s colorful tops and tunics in wonderful bohemian cuts and her famous printed janitor jumpsuit. Pair it with a cute cross-body ethnic bag that will fit all the memorable souvenirs from the bazaars you visit. We’re sure you have already selected the handbag or bags that you will buy on the trip so don’t put your precious ones through the pain of getting squished in your suitcase. The Michael Kors Jet Set over-size Tote is the perfect reliable travel companion. Add in your favorite clutch that matches the formals you’ve selected and maybe a cross-body bag to keep your hands free to take pictures and zip-up! Remember to include plenty of sun-block, your beloved denims, and your tooth-brush and you’re good to go!